Pterygium is another discovery that was brought to a bigger audience via “Projekt Neue Ordnung II” 4LP Box. Like “DEATHPANEL” the australian outfit did surprise with his outstanding atmospheric droned textured power electronics. 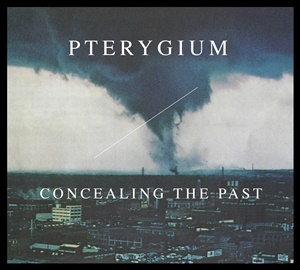 Concealing The Past, Pterygium’s first CD and second full length album compiles a assemblage of studio recordings throughout 2017 and 2018. From jarring analogue live sessions to melancholic, nonchalant atmospheres, each piece disconnects from the next, self containing singularity ideas that present as individual representations of every day chaos and detachment. 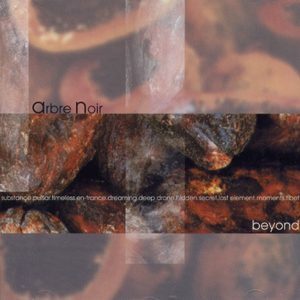 Continuing on from his debut album “Grip”, Concealing the Past explores greater textural depths, seeking a more elaborate, expansive sound palate. 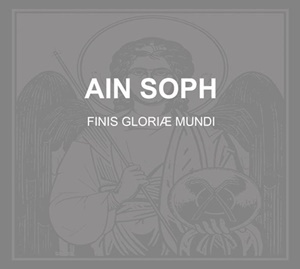 This culminates in adroit switches between cold and bleak to manic and uncompromising. Underlying drones mould layers together leaving melodies to punctuate the structural development of each work. Freestyle, improvised power electronic workouts serve to separate the somber uncertainties. Simply put, Concealing The Past is 9 episodes of modern Sturm und Drang detailing rationalised toil authenticated by modern social tendencies.